What is the best massage cushion? Much depends on where you are going to use it: vibrating models are recommended for drivers while Shiatsu massage is preferable for home. Still, the best bet is one that combines several styles: Vibrating, Shiatsu massage, and infrared heat. Then, take into consideration the zones that you need to massage. A good model should treat not only the back, but also the neck and hips. The number and the rotation direction of the heads is an essential factor as well. We believe that Gideon Customizable Massaging Cushion fits these criteria best. Why have we chosen this product? This model combines various styles of massage. The device comes with 4 Shiatsu nodes moving in both directions — up and down so that the entire back could be treated. You can adjust these nodes to make them focus on a particular spot. You will also enjoy 3 vibration levels and an impressive rolling massage. And you get this feature-packed device for an affordable price! Your back hurts, but a large massage chair won’t fit any room or office space. A small neck massager won’t be able to massage your entire back when you’re tired after a long day of hard work. A Shiatsu cushion is an intermediate option between a full massage chair and a compact neck massager. A cushion can be used in the office, in the car seats, and some even use it with a La-Z-Boy as it massages the entire back at once, and most of the devices additionally provide vibration massage for your buttocks. What is the Best Massage Cushion That Will Suit You and Solve Your Problem: A Vibration or a Shiatsu One? If you drive, then definitely go for a vibration one (Be careful not to fall asleep as vibration massage is relaxing). Shiatsu balls are inconvenient for a car seat. Imagine how they will constantly stick into your back. You will be tired rather than pleasured by this if you are travelling a long way. At home, on the other hand, you can completely relax and have a deep Shiatsu massage. The rolled massage will make you feel hard and merciless (yes, merciless, as many buyers claim that this massage is too strong) masseur’s fingers. Naturally, the massage comes with some relaxing heat for your tense muscles. You will barely be able to lie on such a cushion as the Shiatsu massagers only work when the balls are not pressed against your body (that is why you can’t sleep on massage cushions or stand on foot massagers during their operation). A seating position is recommended and will guarantee the best therapy effect. There are 4 techniques essential to classical massage: stroking, rubbing, kneading and vibration relaxing. While the vibrations help relieve muscle spasm tension, deep kneading allows working the muscles and intensifying blood circulation. Beware of the different pain thresholds that people have. It is very individual, and while Shiatsu balls motion may seem too crude for some people, it's unfair to expect perfection from a massager. In any case, you should understand that a massager only mimics a professional masseur’s hand movements, so certainly consult a doctor before using any massager on your own! We’ve divided the review into two parts: we’ve picked 3 vibration massagers from $29 to $69 and 4 Shiatsu cushions at the starting price of $139. The price variation is enormous. What is the difference between the items? The cheapest $30 massager covered provides heat and a light relaxing vibration massage. Light is the key word here. It is the faintness of vibration that many complain of. The most expensive $189 massager, on the other hand, has 8 Shiatsu balls for deeper and more intense back and neck massage. The balls are located in the headrest and back. Go ahead and pick whatever one you like. This market leader has over 1,800 customer reviews and 10 vibration sources covering your neck, shoulders, back and thighs. Two heating elements are installed in the lower back to provide heat for the entire massage area. There are no balls as this cushion is designed for relaxing and soothing tired back muscles. Its purpose is to relax a driver’s muscles during a long and tiring trip. A remote control will let you set one of 4 auto massage programs, 3 speed modes and turn the heating on or off. Are you going to spend many hours in the office? Is there a long trip ahead? This massage cushion will be handy. However, judging by the reviews, many buyers would prefer having Shiatsu-balls along with vibrating elements. Still, such a design is dictated by common sense: long-term exposure of the back muscles to idle Shiatsu rollers will create discomfort. This massage cushion is suitable for those who have a high pain threshold and can endure pain or discomfort caused by Shiatsu balls massage. 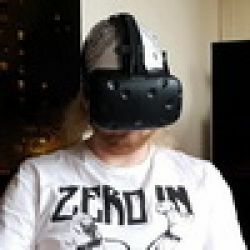 It has only 5 vibration motors, and its execution is fairly simple (though it doesn’t lack ergonomics), the heating element is built-in and the regulation is right in the back of the cushion. This is the most plain and unpretentious massager that you can imagine. Why not buy several such cushions for your home and car? Despite its simplicity, Dr Scholl has 3 intensity levels and can claim the title of a relaxation procedure. The cushion is compact and is easily transported in a bag. Claims regarding seat unevenness and loud noise during operation are forgivable as this is a very cut-rate massager. Just like the entire Gideon™ product range, this chair massage cushion is distinguished by an abundance of massage options. Pick high intensity if you want to get rid of nagging muscle pain in a drastic way. If you wish to merely get rid of annoying shoulder blade spasms without being distracted from work, then the relaxation mode, together with pleasant warmth and vibration, will help you. The Gideon ™ Seat Cushion Vibrating Massager is not a Shiatsu massager, but is hardly inferior to it in terms of efficiency as there is a mode for those who need a serious shake-up and body toning as well as a penetrative vibration mode. Vibration zones are arranged in such a way that it becomes possible to massage thighs, shoulders, back and shoulder blades which will be useful for sedentary workers. This massager can be placed on a chair once as when it is off, it resembles a comfortable rubberized lining. The heat is distributed not only on the back, but also on the thigh area which provides definite benefits for those who work in a cool office. There are Shiatsu massage cushions with or without a headrest. The consumers’ main claim regarding massagers without a headrest is that Shiatsu balls don’t reach the shoulders and neck. That is why if you have an upper back problem, you’ll likely need the most expensive device with a separate headrest ball set. It has 6 massage programs. The height of the Shiatsu massaging nodes is adjustable and all 4 of them travel up and down mimicking a masseur’s movements. You can also adjust the speed and make it faster or slower, and set the intensity of the massage. 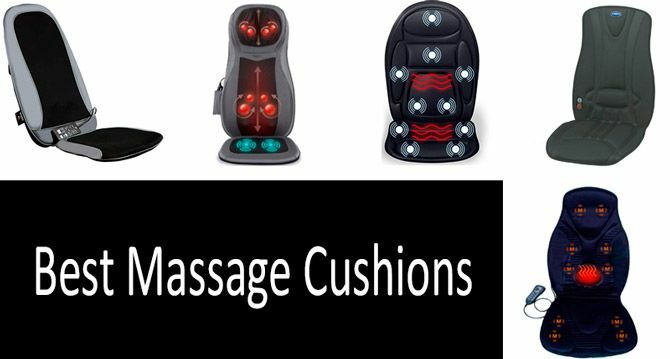 Three massage styles: Shiatsu Deep Kneading for deep muscle treatment, rolling for gentle relaxation and comforting and vibrating all make this massaging cushion a true leader among the items covered. This option doesn’t have vibrating massage, but if you need to diversify your massage experiences (for example, one day you’ll experience gentle stroking motion, and the next day you will feel like a hard sports massage), then HoMedics MCS-750H is just right for this approach. Apart from kneading and rolling there is also percussion for quick and vigorous kneading of "stagnant" muscles, or for those who have just finished a strenous training. The rollers rotate clockwise and counter-clockwise, move axially up and down, working through the entire back. This is suitable for people of various heights, ranging from 150 to 185 cm as the two top Shiatsu nodes built-in the headrest will provide you with quality massage if you adjust the cushion to your height. It is especially recommended for people shorter than 165 cm, as they usually find it difficult to buy a back massager with the headrest balls reaching their neck muscles. Two vibration sources with three intensity levels are built-in the seat, and four Shiatsu nodes move along your lower back in a complex trajectory. Each of the nodes contains two balls creating a deep 3D massage effect. Its analogue, Zyllion ZMA-14-BK FDA , with back up-down motion balls,deep-kneading & rolling massages and built-in double vibrating motors at the hipis available for Check the current price. Let’s now figure out whether an expensive massage cushion is a must and whether you can do with a compact and cheap neck massager. If your lower or mid back hurts, you surely need a massage cushion. It’s up to you to choose whether it will be a vibration or Shiatsu massager, depending on the required massage strength and your personal pain threshold. If you have a problem with your upper back (namely, with neck and shoulders) several options exist. The consumers’ main claim regarding the massagers without a headrest is that Shiatsu balls don’t reach shoulders and neck. In that case, you’ll likely need the most expensive device with a separate headrest ball set. If that seems too costly, try a $50-$70 Neck & Shoulder massager. Wear light clothing or put a towel over your body under the balls. Even manufacturers recommend that. Soft padding doesn’t affect massage quality. What should I do if the massage is painful? Read the manual carefully before use. The majority of Shiatsu massagers require 110V power. Are massagers powered by 110V or can I plug one in a 220V socket? Different items vary, but most of the heating elements are located lower, just like in car seats. When combined with vibration message, lower back heating becomes perfect for long journeys. Where are the heaters? Are they placed along the entire back or only at the lower part? No, the balls are not retractable; you cannot stop using a Shiatsu cushion in the car or take it off when you don’t want to feel the balls against your back. In any case, it’s very easy to remove the entire cushion from your car seat. You can put it over any armchair, sofa or a chair and use it as you please. 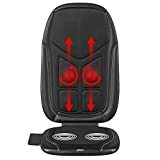 Can I put a massage cushion on a car seat and retract the balls when necessary?